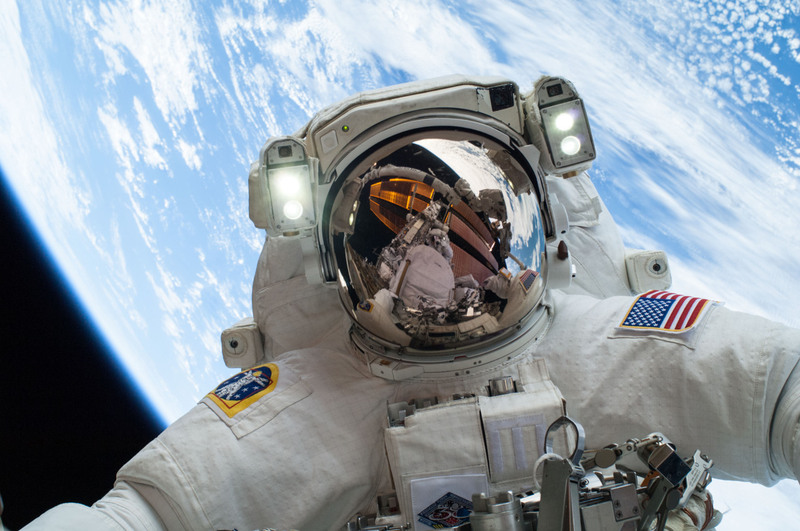 Since 2000, the International Space Station has been continuously occupied by humans. There, crew members live and work while conducting important research that benefits life on Earth. Our satellites help scientists study Earth and space. Satellites looking toward Earth provide information about clouds, oceans, land and ice. They also measure gases in the atmosphere, such as ozone and carbon dioxide, and the amount of energy that Earth absorbs and emits. And satellites monitor wildfires, volcanoes and their smoke. Satellites that face toward space have a variety of jobs. Some watch for dangerous rays coming from the sun. Others explore asteroids and comets, the history of stars, and the origin of planets. Some satellites fly near or orbit other planets. These spacecraft may look for evidence of water on Mars or capture close-up pictures of Saturn’s rings. Our Z-2 Spacesuit is the newest prototype in its next-generation platform, the Z-series. 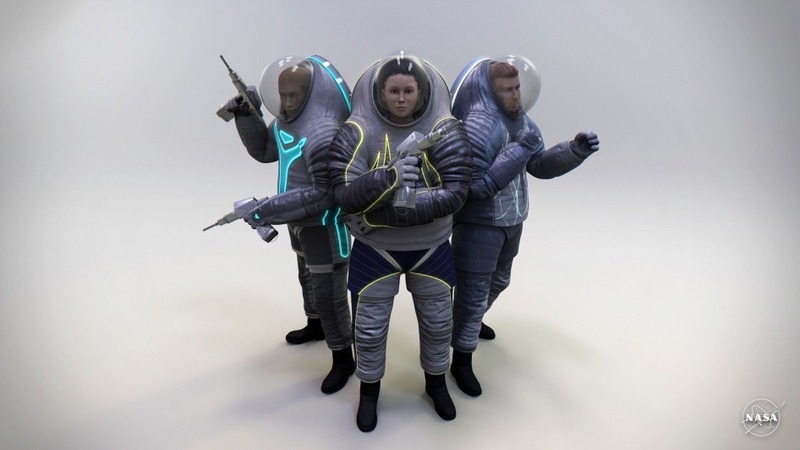 Each iteration of the Z-series will advance new technologies that one day will be used in a suit worn by the first humans to step foot on the red planet. 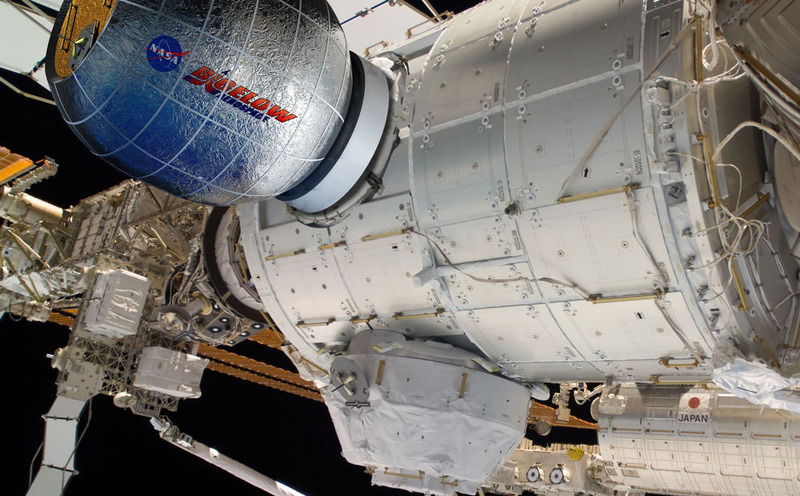 The Bigelow Expandable Activity Module, or BEAM, leverages key innovations in lightweight and compact materials, departing from a traditional rigid metallic structure. Once attached to the International Space Station, the module would result in an additional 565 cubic feet of volume, which is about the size of a large family camping tent. The Vegetable Production System (VEGGIE) is a deployable plant growth unit capable of producing salad-type crops in space. Earlier this year, Expedition 44 crew members, sampled the red romaine lettuce from the VEGGIE plant growth system. This technology will provide future pioneers with a sustainable food supplement during long-duration exploration missions. 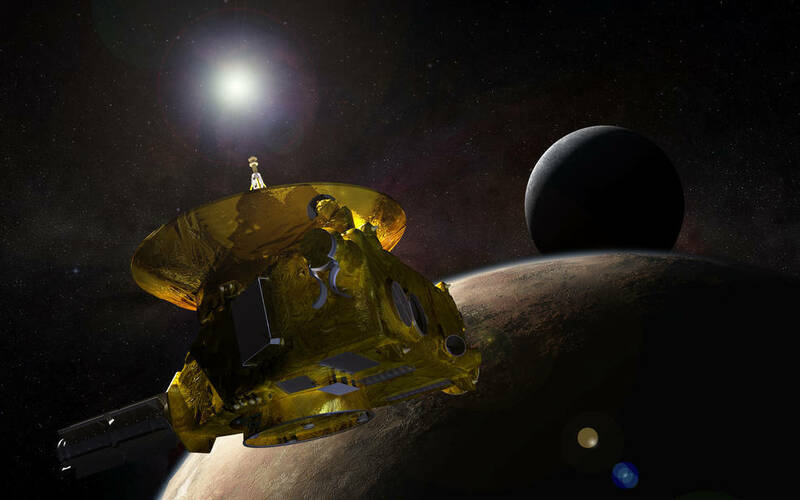 Our New Horizons spacecraft completed its Pluto flyby on July 14, and has continued on its way toward the Kuiper Belt. The spacecraft continues to send back important data as it travels toward deeper space at more than 32,000 miles per hour, and is nearly 3.2 billion miles from Earth. Recently announced findings from our MAVEN mission have identified the process that appears to have played a key role in the transition of the Martian climate from an early, warm and wet environment to the cold, arid planet Mars is today. MAVEN data have enabled researchers to determine the rate at which the Martian atmosphere currently is losing gas to space via stripping by the solar wind. Luckily, Earth has a magnetic field that largely protects it from this process. Astronauts on the International Space Station dissolved an effervescent tablet in a floating ball of water, and captured images using a camera capable of recording four times the resolution of normal high-definition cameras. The higher resolution images and higher frame rate videos can reveal more information when used on science investigations, giving researchers a valuable new tool aboard the space station. This footage is one of the first of its kind. Our Commercial Crew Program is working with the American aerospace industry as companies develop and operate a new generation of spacecraft and launch systems capable of carrying crews to low-Earth orbit and the International Space Station. Once a day, we will post at least a dozen new color images of Earth acquired from 12 to 36 hours earlier. These images are taken by our EPIC camera from one million miles away on the Deep Space Climate Observatory (DSCOVR). Take a look HERE. More than 18,300 people applied to join our 2017 astronaut class, almost three times the number of applications received in 2012 for the most recent astronaut class, and far surpassing the previous record of 8,000 in 1978. Among this group are humanities next great explorers! Our Technology Transfer Program highlights technologies that were originally designed for our mission needs, but have since been introduced to the public market. HERE are a few spinoff technologies that you might not know about. 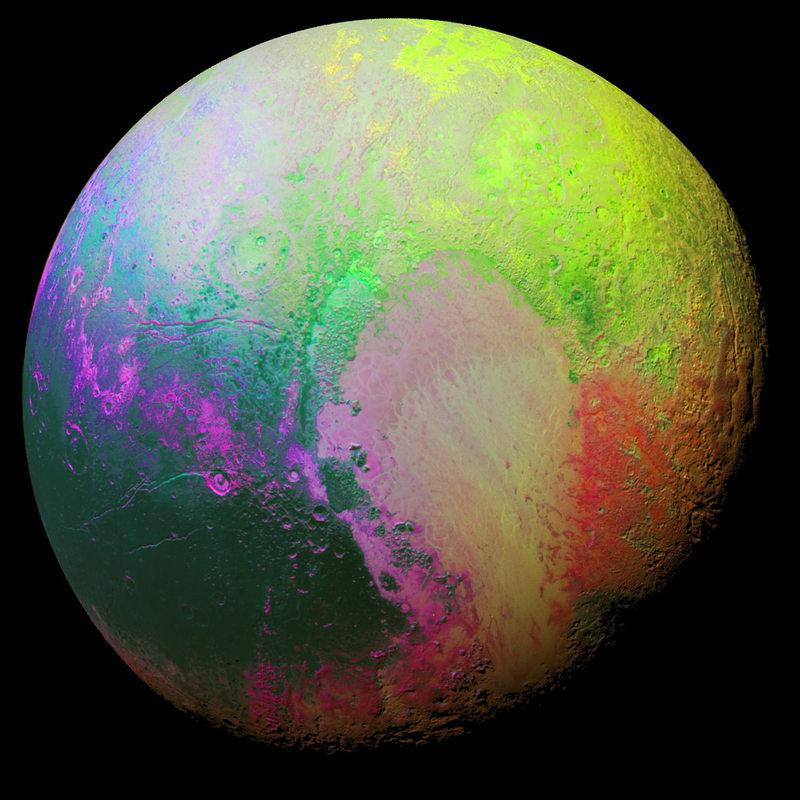 This false color image of Pluto was created using a technique called principal component analysis. This effect highlights the many subtle color differences between Pluto’s distinct regions. NASA will be live-streaming the departure of SpaceX Dragon from the ISS on NASAtv starting at 9am EST. The Dragon capsule, which arrived at the station April 10, will be detached from the Earth-facing side of the station’s Harmony module using the Canadarm2 robotic arm, operated by ground controllers. Robotics controllers will maneuver Dragon into place and Expedition 47 robotic arm operator Tim Peake of ESA (European Space Agency) will execute the command for its 9:18 a.m. release.